The board of directors of Pure Multi-Family REIT LP (RUF-UN-X) says it has rejected an acquisition bid by Florida-based Electra America because it believes “the proposals do not fully value Pure Multi-Family’s highly attractive portfolio” and other potential bidders might be willing to offer more money. Pure Multi-Family’s board issued a release Thursday night which outlines three reasons for rejecting the unsolicited, all-cash bid. It also explains why an original takeover offer in December was not disclosed to shareholders – a confidentiality demand by Electra America. Electra America, noting it had not received a satisfactory response from Pure Multi-Family, then decided to make its offer public on Tuesday. Electra said it had extended until April 6 a previously submitted all-cash offer of US$7.59 (CDN$9.79) per class-A share to acquire all of its outstanding units. The revised proposal, tendered on March 26, followed an initial conditional unsolicited proposal on Dec. 12 of US$7.54 per unit. Pure Multi-Family’s board of directors say the REIT is undertaking a “review of its strategic options” and “has initiated a formal process to explore the potential sale of the REIT.” It said a special committee created to deal with Electra America’s offer is overseeing the process. “The Board is and has always been committed to maximizing unitholder value,” the release states. Pure Multi-Family then itemizes the reasons it has rejected both offers so far, then quotes a number of market analysts to support its position. * Electra’s proposals are “highly conditional and require a 30-day exclusivity period”, and would have been withdrawn by Electra America if Pure publicly disclosed them. Electra said its new offer represented a 24 per cent premium to the shares’ last closing volume-weighted-average trading price on the TSX Venture Exchange when it was tendered. One of Pure Multi-Family’s largest shareholders, Toronto-based Vision Capital, also released a release saying it is favour of the offer. Vision said it had been in contact with other shareholders who also wanted the REIT to further consider the bid. Pure, however, goes on to quote several analysts to support its claim the REIT’s assets are undervalued in these offers. Pure said Scotiabank and Farris Vaughan Wills & Murphy LLP are acting as financial and legal advisors to its special committee. Electra America is headquartered in North Palm Beach, Fla., and operates in the U.S. Sunbelt multi-family market. It’s a member of The ELCO Holdings family of companies. It has acquired, operated and sold more than 150 multi-family communities, representing more than 40,000 apartment units valued at more than US$3 billion. Electra America currently manages 21,000 units valued at more than US$2 billion in enterprise value. The firm has been extremely active in mergers and acquisitions, having completed, among others, the acquisition of Apartment Trust of America, a U.S. apartment REIT, and the sale of approximately US$2 billion of apartment assets to Starwood Capital Group and Milestone Apartments Real Estate Investment Trust. Pure Multi-Family REIT LP is a Canadian-based vehicle which offers investors exclusive exposure to attractive institutional quality U.S. multi-family real estate assets. 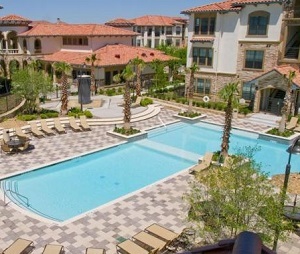 Pure has focused on acquiring luxury resort-style apartment communities in the major markets of the U.S. Sunbelt. As at Dec. 31, the trust had 22 properties containing 7,085 residential units. Its most recently reported occupancy rate was 95 per cent. The properties are located in five general geographic areas, Dallas-Fort Worth, Houston, Austin and San Antonio in Texas and in Phoenix.